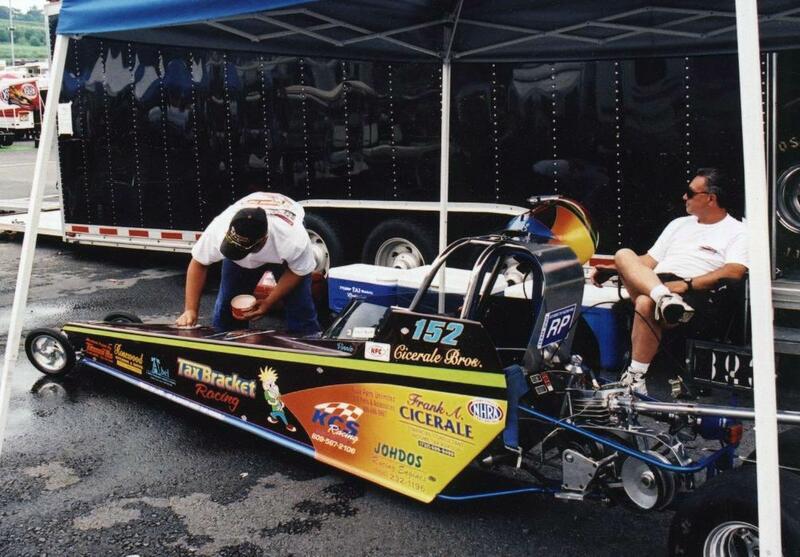 Vinnie is seen here cleaning and waxing his car during a ran delay at the 2002 Eastern Conference Finals. 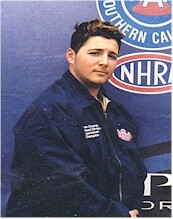 The race was held at Maple Grove Raceway, and featured the top racers from up and down the East Coast and from the Midwest. 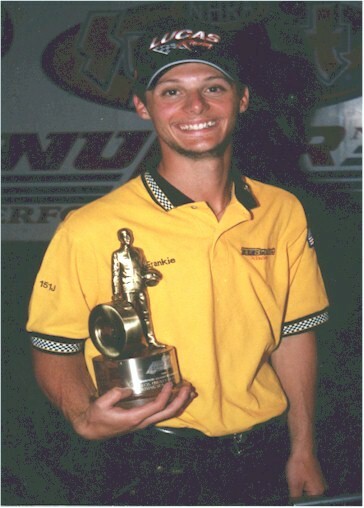 Before the running of the 2002 Matco Tool Supernationals, Frankie and the team got some help from one of the best: Super Stock racer and former world champion Peter Biondo. 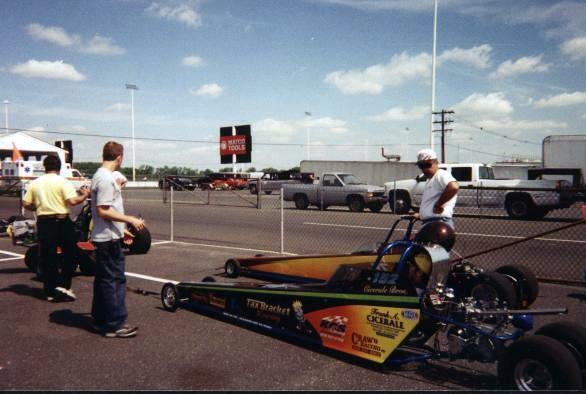 Frankie and Vinnie are seen here comparing notes while Vinnie patiently sits in his KCS Jr. Dragster in the staging lanes at Island Dragway. 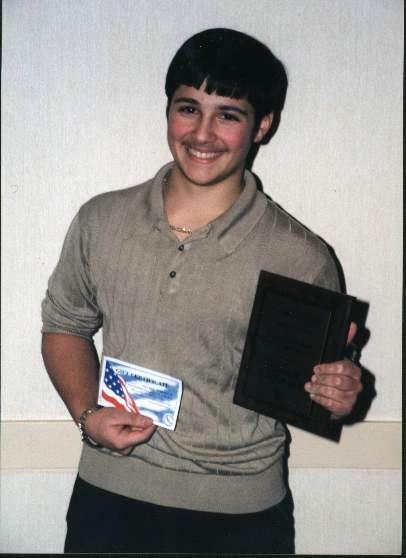 This is Frankie receiving the award for being the 1999 Jr. Dragster Points Champion at the Island Dragway Banquet. 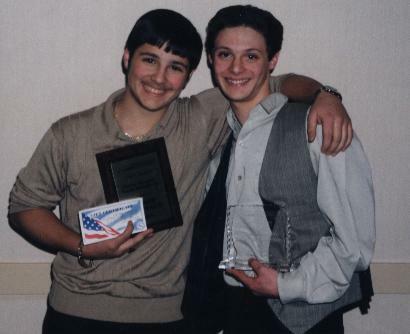 This is Vinnie receiving his award for being the 1999 Jr. Dragster Points Runner-up at Island Dragway Banquet. 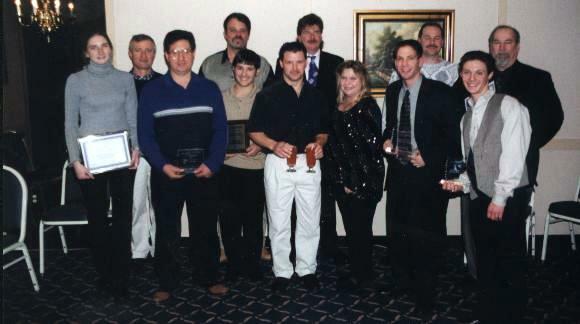 The boys together at the 1999 Island Dragway Banquet. 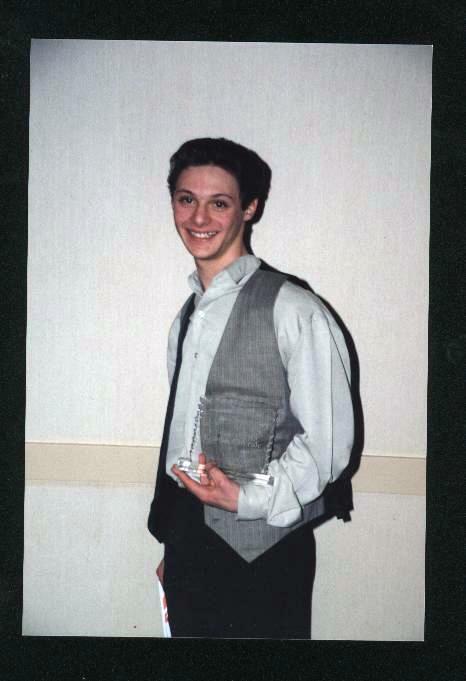 Vinnie finished #2 and got a plaque and $50 bond while Frankie took the title, finally dethroning his brother and receiving the $100 bond and trophy. 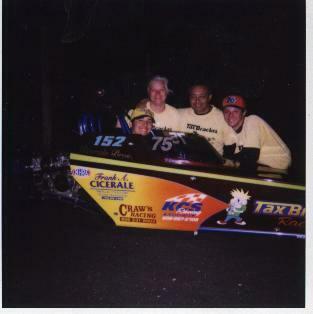 The Island Dragway Track Champions for the 1999 Racing Season. Both Vinnie and Frankie can be seen among the best of the best at Island for that year. Tax Bracket Racing's first winner's circle photo in the new Millennium. Vinnie, who gunned down Melissa DeMarcky for the title, is all smiles after his big win. "What do we do Dad?" 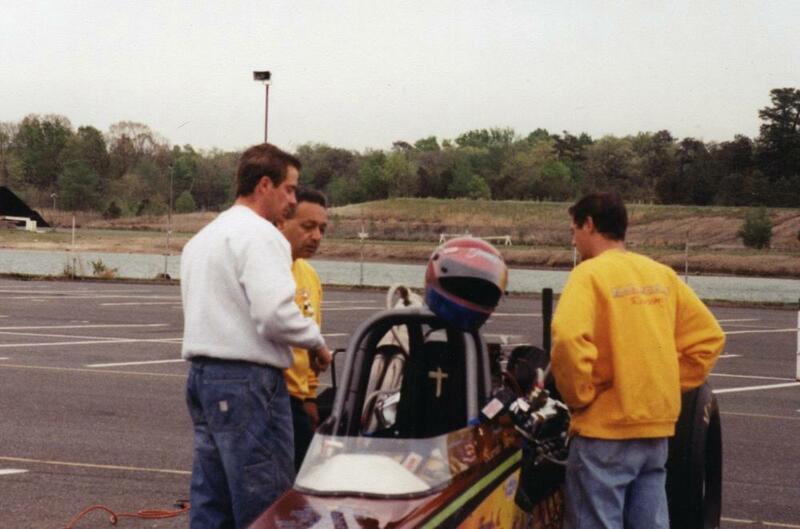 The brain trust in the pits before first round at Englishtown figuring out what to dial. 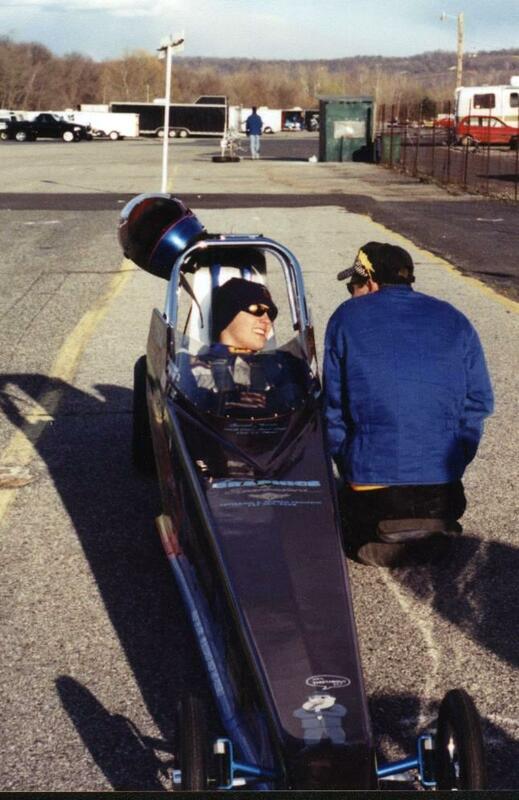 Crew chief Frank A. Cicerale is seen here checking over the car before letting Vinnie stage and blaze down the eighth-mile on yet another eight second pass. The old meets the new. 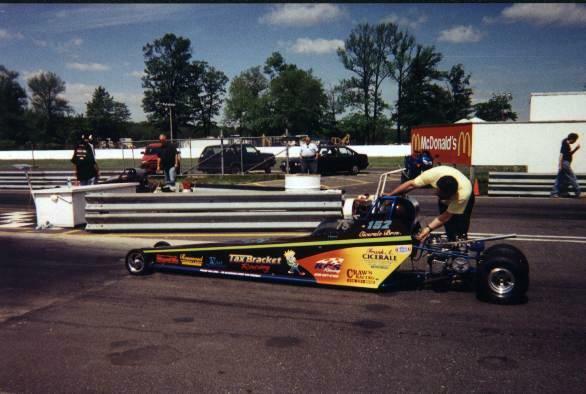 Seen here is Vinnie's old car, sold at the beginning of the season, and his 2000 KCS Racing Jr. Dragster. 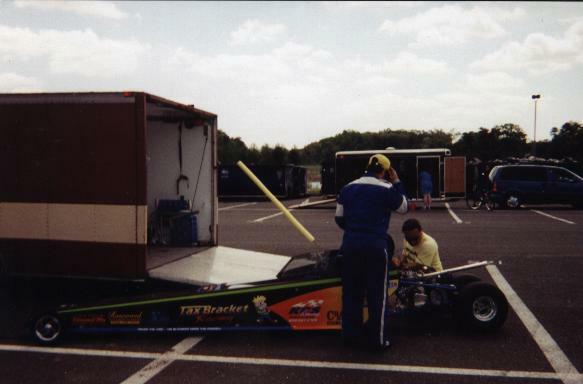 Vinnie's KCS Racing Jr. Dragster. Powered by a Johdos Racing Engines Blockzilla motor, the new car has run a best of 8.84 at 73 mph.